Using a bench model and design requirements, KineOptics designed and built 10 of these Photodiode Arrays for the LIGO Project. 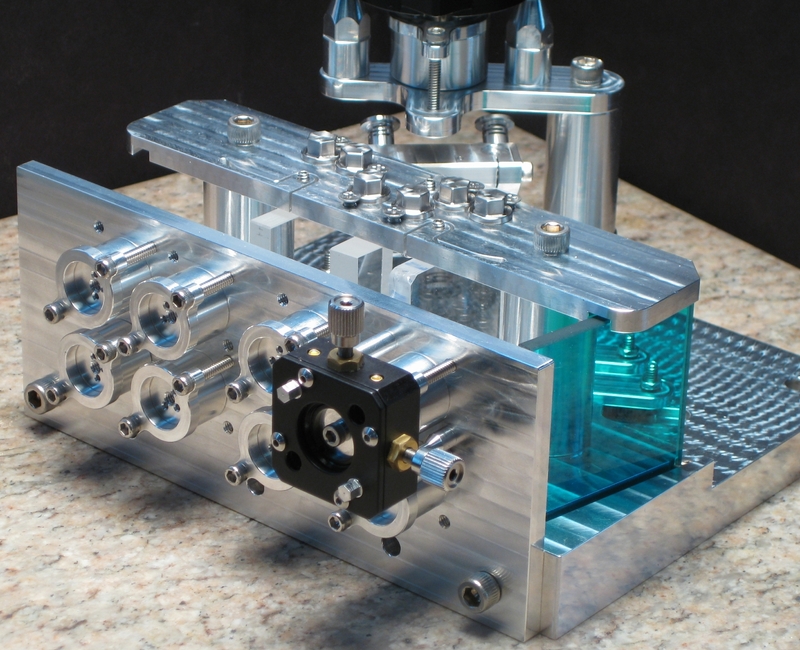 The units were designed to survive bakeout and use in high vacuum. Using a series of beamsplitters and mirrors, a single input beam is split into two, then each of those split into four to feed the eight photodiodes. Flexures, springs, and cams were used to align and protect the optics. In these images a temporary alignment stage is positioned over the photodiode mounts. The unit is about 130mm by 150mm along the base.